Mishandling business calls can lead to lost sales and leads. That much is no surprise. But what exactly counts as bad call handling where potential customers are involved? Recent research on call handling in industries that rely heavily on phone traffic provide some insights. Some of the findings were unsurprising. For example, people are more likely to abandon calls if left on hold for long or when transferred among multiple agents. Other results, however, demand more attention. Consider that the thing the biggest cause for lost calls is not having a “human touchpoint,” or simply an actual person answering the phone. Up to a fifth of lost calls come from callers reaching voicemail or getting stuck in looping IVR menus. So how do you handle calls properly? When answering the phone in an official capacity, there are a few things you should make sure of. Make sure phones are answered promptly. Picking up on the second or third ring is ideal. Set expectations clearly. Introduce your business when you answer and let customers know if they’re being put on hold or transferred. Use a human touchpoint whenever possible. A short IVR menu can improve efficiency, but a long one could do more harm than good. Consistently handing business calls properly becomes easier if you have a method in place. For instance, all staff should know how phone answering duties are shared. Are specific people assigned? Are employees expected to pick up if the designated persons aren’t there? And when people do answer, having a standard introduction or script will make it easier to give the right impression. You can take this a step further by setting up a tracking or ticketing system for customer calls. Assign each customer issue to a certain staff member, who can devote some of their working time to it. This way, callers get a timely, orderly solution instead of being transferred among agents or kept on hold while the issue’s sorted out. Of course, providing quality service over the phone takes time and attention. That’s not something all businesses, especially small ones, have in abundance. What are in abundance, though, are products and services that can help businesses of all sizes handle inbound calls more efficiently. Automated solutions are a quick and easy way for businesses to improve their call handling. Most current phones have options for call routing, which can help get callers to the right staff members at the right time. With inbound numbers, businesses can get even more options for effective call forwarding. IVR menus are, of course, an option. These should be used with care, however. Remember that the goal of an IVR is to get callers to the right human touchpoint as soon and effectively as possible. When people use the phone, it’s so they can reach another person on the other end of the line. Whatever your approach to call handling, it should address this fundamental goal. For businesses with limited staff capacity, the easiest way to do this is by using a live phone answering service. Professional phone operators answer in your business name and take a message for you, so you can respond to callers when you’re ready. These services ensure that customers can reach an actual person, while allowing your team to retain control over their time. Concierge and virtual receptionist services offer more call handling options for businesses that need them. 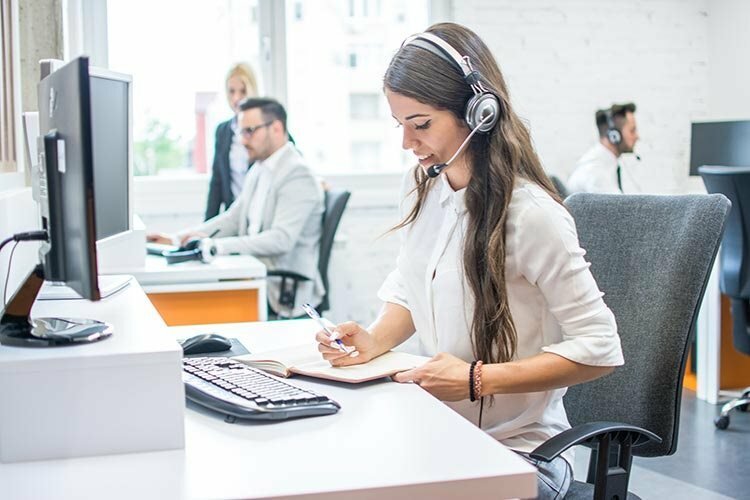 While these services have higher rates, live answering services are still less costly and more flexible than hiring full-time front desk staff. Whichever call handling solution you go for, it’s important to have a service provider you can trust. Phone calls are a direct point of contact with your customers and could make or break your relationship with them. Every second, from start to finish, is crucial. Alltel has been providing reliable telecommunication services to Australian businesses for over a decade. If you’re looking for ways to improve your business call handling, get in touch with us at 1300 255 835 or check out our live answering services page.